Before mechanization and electricity, farmers in the early days of the American republic would sometimes drop dead working the land. The back-breaking toil of bringing crops to harvest broke more than backs. From the standpoint of health and wellness, that kind of farming was unsustainable. Thankfully, technology made husbandry easier on the body. At an unfortunate side-effect, the very land that provided a livelihood suffered its own illnesses. A healthy and vigorous farmland is the goal of sustainable agriculture practices. Few appreciate the life-giving and preserving power of water like farmers do. Working the spectrum between irrigation and drainage can be a tricky balancing act, one that often tips in favor of over-watering. Sustainable agricultural practices attempt to restore balance and conserve precious resources. For example, California growers, who recently suffered from an extended drought, adopted several methods to continue farming with diminished water supplies. 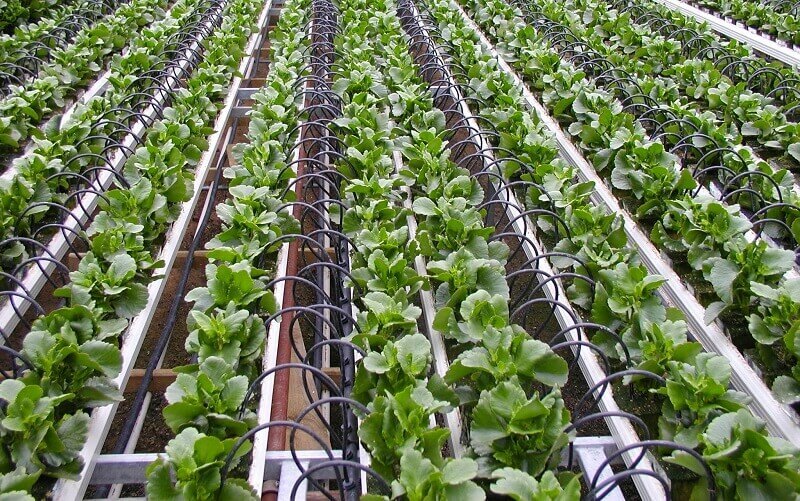 Where possible, they replaced spray irrigation with drip systems, reducing the rate of moisture evaporation. Some farms installed their own ponds to receive and hold rain water, relieving demand from public utilities. Still others opted to grow drought-tolerant crops like olives and Armenian cucumbers. Those businesses that could afford smaller harvests took to dry farming, i.e. waterless agriculture that focuses on specific tilling to maximize moisture already in the ground. Many continued these sustainable agricultural practices when the drought passed for the economic savings enjoyed. Since tractors and combines replaced sickles and draft animals, agricultural operations have proved to be highly energy-intensive. These costs will cut into a farmer’s net profit considerably so keeping them modest promotes the future of the farm. As tractor fuel is a primary line item in the energy budget, sustainable agriculture practices call for scrupulous maintenance of tractors, implements and other machinery. Maintaining the appropriate tire inflation; replacing filters sooner than later; changing the oil according to specifications; and tuning up the engine regularly all help to conserve fuel (and dollars). In addition to proper care of equipment and vehicles, there are a couple of field procedures that may likewise spur energy efficiency. 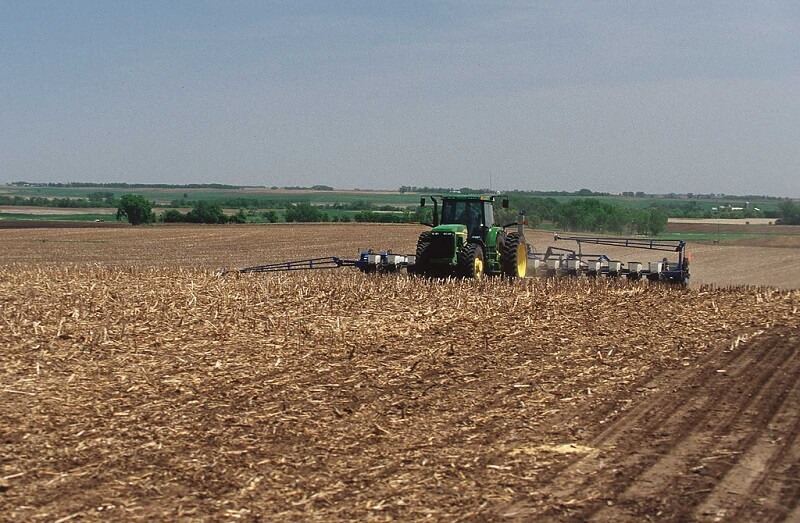 Zero-tillage farming, for instance, can reduce energy use significantly because mechanical soil preparation is omitted from the growing process. Additionally, the combination of undertakings—planting seed and spreading manure, e.g.—cuts down on the number of trips across any given field. Keeping fuel usage to a minimum not only results in lower input costs, but also contributes to clean air and a more healthful environment. There is a people component to sustainable agriculture practices in the form of labor management. Getting caught short-handed at critical times like harvest or when livestock is brought to auction can doom a farm to bankruptcy. Yet the transient life and low wages of farm workers make sustained availability unlikely. Furthermore, difficulties with immigration compliance make many of these foreign-born workers vulnerable to apprehension and deportation. A long view of agriculture suggests that stabilizing this labor force is beneficial to farm owners. One farmer alone can not do this. More practical is a joint effort through cooperatives, or through county and state farm bureaus. Since most farm labor is seasonal by nature, providing vocational training and education for the off-season is critical to retaining this workforce. Moreover, keeping them healthy and intact is important in agricultural jobs known for numerous hazards like pesticide exposure, tractor accidents and injury from power tools. It is important, therefore, to train workers thoroughly in mechanical functions and safety conventions. Soil, the very earth itself, is the womb and incubator of plants and crops. In fact, soil is also the ultimate source of nourishment for farm animals. But working the land can have a downside: in the same way early American farmers worked themselves to death, modern techniques can irrevocably degrade the health of the soil. Sustainable agriculture practices seek to maintain vibrant topsoil while producing quality, nutritious food. Tillage, i.e. breaking up the soil for planting, is executed by plowing, chiseling, disking and field cultivation. Each method leaves a different amount of residue and weed seed in its wake while affording the ground better exposure to dry and to warm. For all its productive efficiency, tillage can stimulate weed growth and destroy any cover vegetation the soil had enjoyed. It also disrupts and removes nutritious organic matter that makes soil fertile and prolific for crop growth. No till practice, by contrast, disrupts the soil as little as possible. Very narrow perforations are drilled into the ground by an implement known as a coulter. 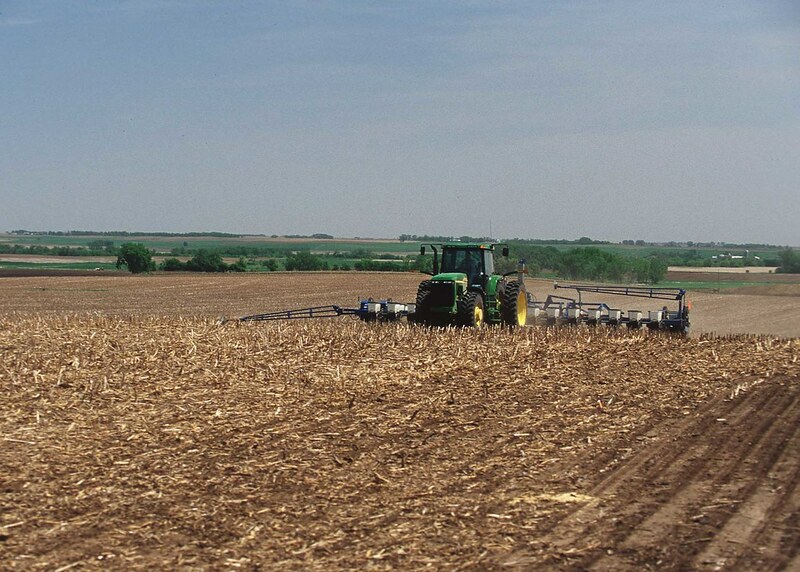 In so doing, farmers allow the natural infiltration and retention of moisture that is absent when tillage is present. No till systems, it must be noted, require pre-treatment of the surface with herbicides. Among the many sustainable agriculture practices, reducing the amount of chemicals by which plants grow is necessary to a pure environment and wholesome crops. This is achieved by replacing synthetic fertilizers with “green manure”—crops that are still green and have just flowered. These plants, such as legumes and sorghum, convey the nitrogen and other macronutrients that enrich plants, all the while smothering weeds and generating organic matter. Probably the major issue relative to raising animals in conformity with sustainable agriculture practices is range of movement. Confined operations like feedlots and caged poultry facilities aim to concentrate as many animals as possible into the least amount of space. 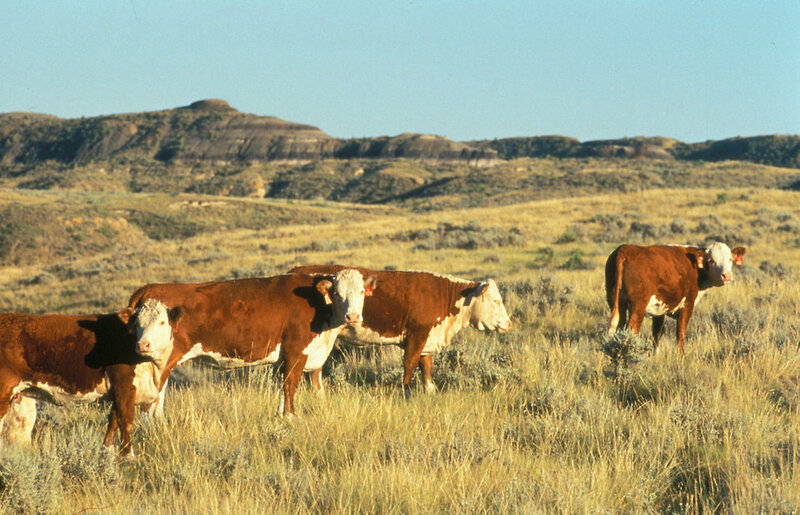 This frequently adds to stress and anxiety among the herds, lowering immunity to disease. To counter this condition, large factory farms will resort to antibiotics, the effects of which on human nutrition are questionable. Smaller farms with pastured livestock and free-range birds are preferable from a sustainability viewpoint. World population is growing and so is the demand for food. While sustainable agriculture practices might appear inadequate to the task, they do in fact preserves the capacity to grow food and fiber for generations to come.